Taylor Swift Reputation Stadium Tour - Pop Feedback!! 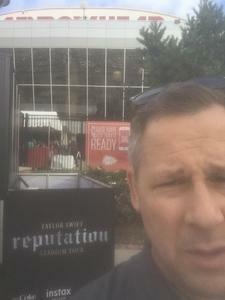 I want to thank Vetix and especially the ticket donor for the opportunity to get tickets to the Taylor Swift Reputation concert. 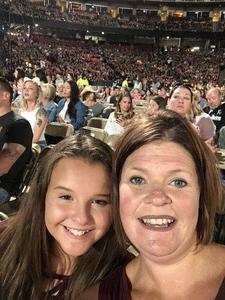 My wife and daughter along with friends had an amazing time. Thanks again for this awesome opportunity!!! You guys are incredibly generous!!! Thank you very much for the awesome floor seats!! I was able to take my daughter and her best friend!! We had a blast!!! 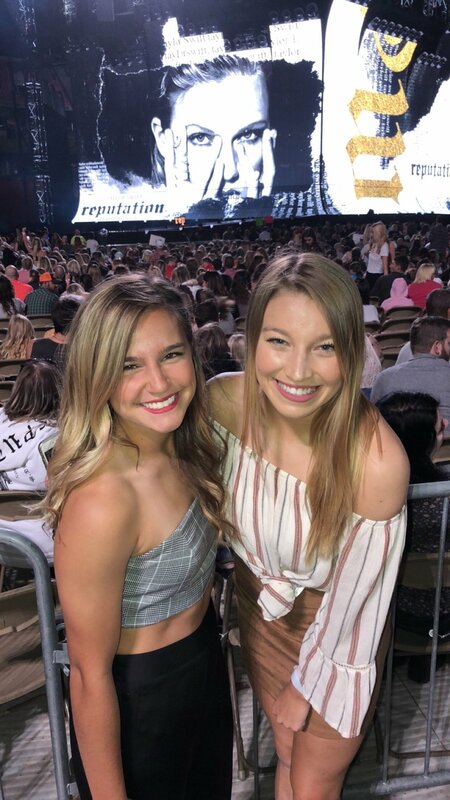 Best concert ever! 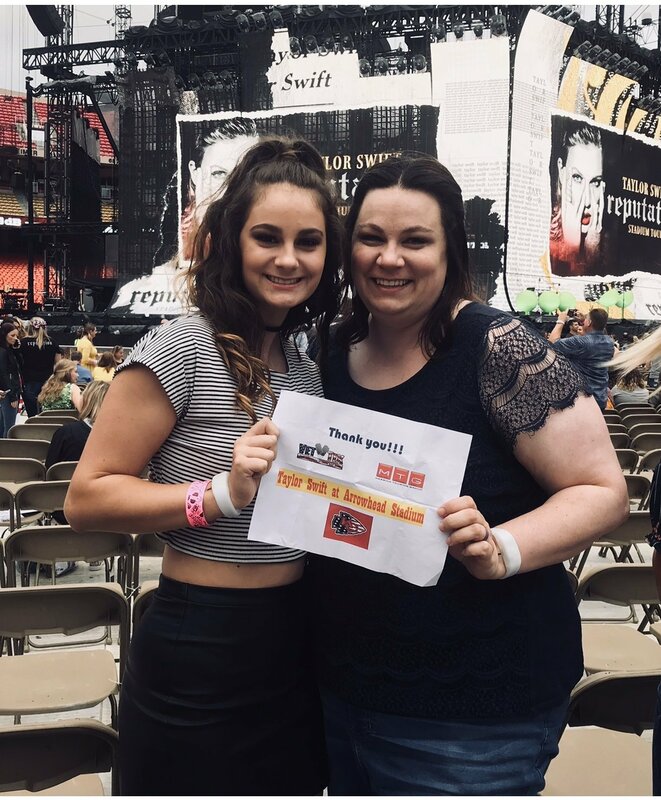 Thank you so much for offering the Taylor Swift tickets. My girls had the best time. They can not stop talking about the concert. We appreciate the experience immensely. Thank you for allowing me to be able to make my family happy. We had a great time watching her show. Thanks Vet Tix for a great show! Thanks very much to Messina Touring Group and Taylor Swift for tickets to see the stadium tour... the concert broke the record for an outdoor concert at the Arrowhead Stadium in Kansas City and the granddaughters loved it!!! 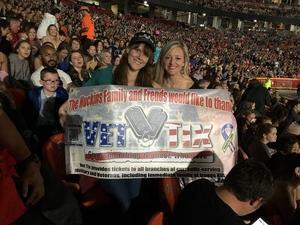 thanks also to VetTix for all you do for the veterans! 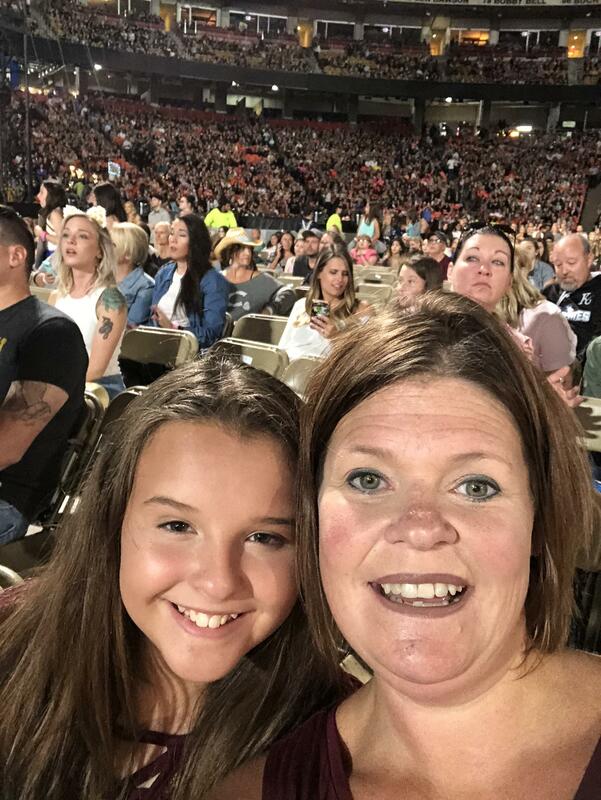 Thank you very very much Messina Touring Group, LLC it was a amazing concert definitely much needed for the wife and daughter. Really gave them a way to reconnect. 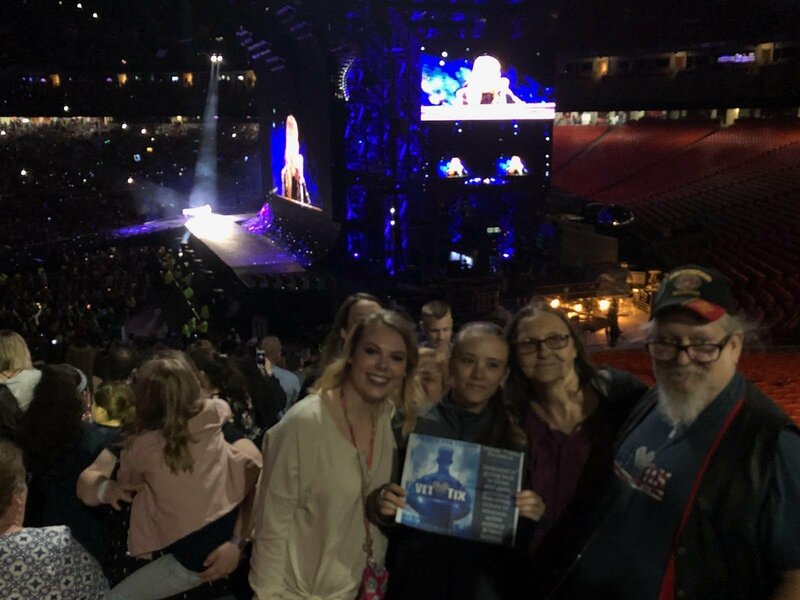 Many thanks to the Messina Touring Group, LLC for your generous donations of tickets to Vet Tix and the Taylor Swift Reputation Stadium Tour. I truly appreciate your support of the Veteran community and without these tickets, we would not have had the opportunity for front row seating at this event. 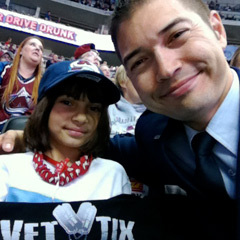 And thank you to Vet Tix for all you do for us. 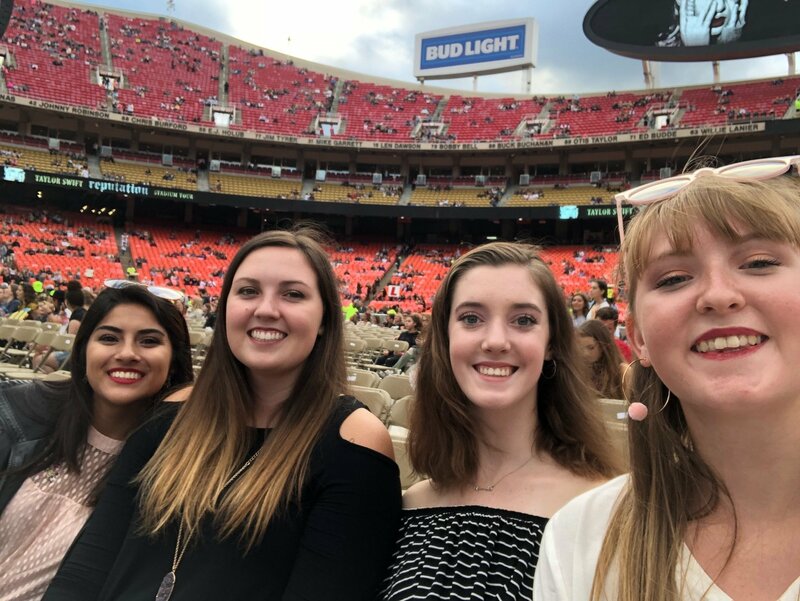 Taylor Swift’s Redemption Tour was the best produced concert I have ever witnessed. It was an amazing night with my family. Thank you so much for letting us have this experience. It was one of the best night I have had in a long time. 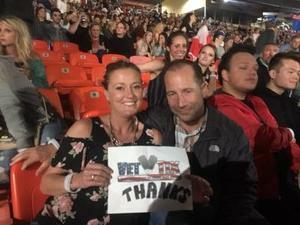 It all happened because of this generous donation and VETTIX! A very big Thank You to Messina Touring Group, LLC for such a memorable night! We really enjoyed seeing Taylor Swift in concert! This was a first time experience for my kids, and I can't express enough how grateful we are for your generosity! We wouldn't have had this opportunity if it wasn't for you, so from the bottom of my heart, Thank You! 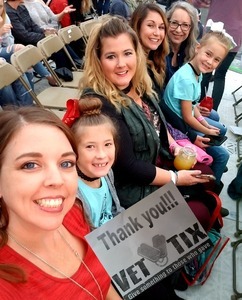 We would love to thank VetTix and the Messina Touring group for a great night out for father daughter time. 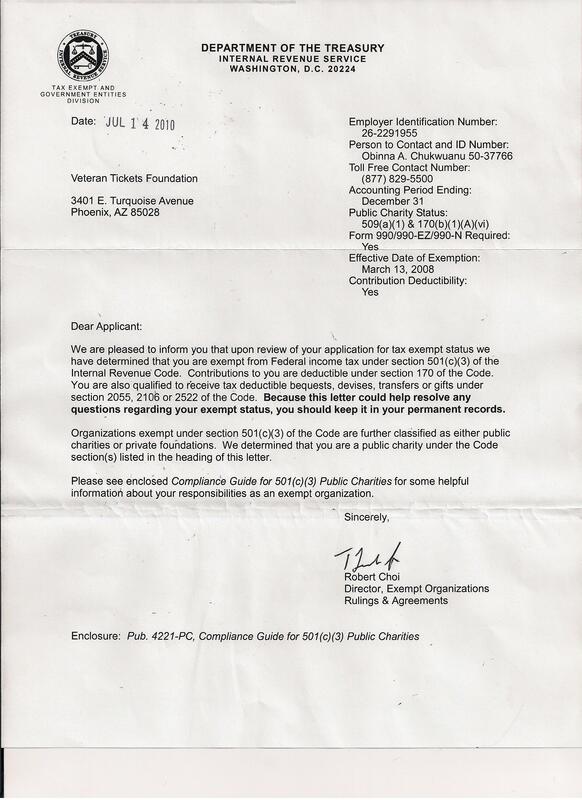 Thank you so very much, Messina Touring Geoup LLC! My family and I really enjoyed the opportunity you gave us to see this great concert. 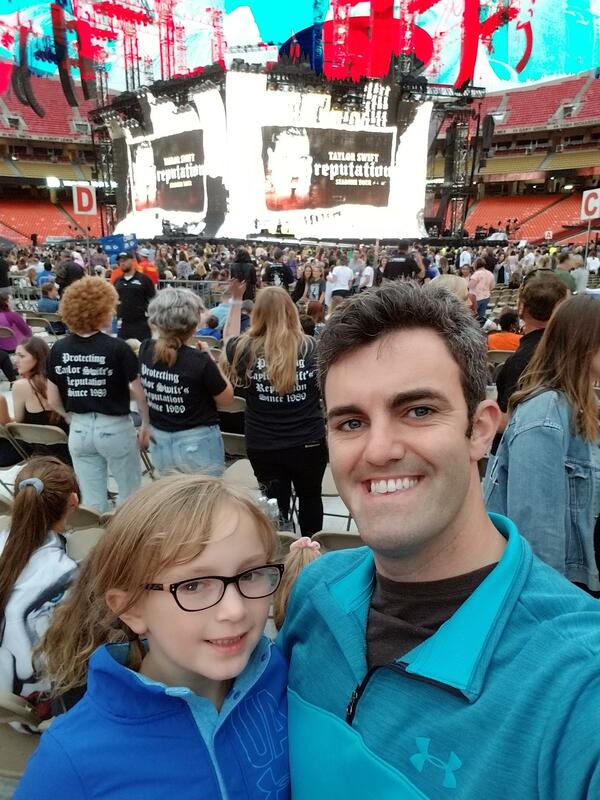 We were able to bring our niece to see her very first concert. The seats were awesome and security brought our daughter and niece in to stand in the “snake pit” right next to the stage. Thank you again for your generous donation!! I wanted to say a huge thank you to the Messina touring group for donating tickets to this awesome show. 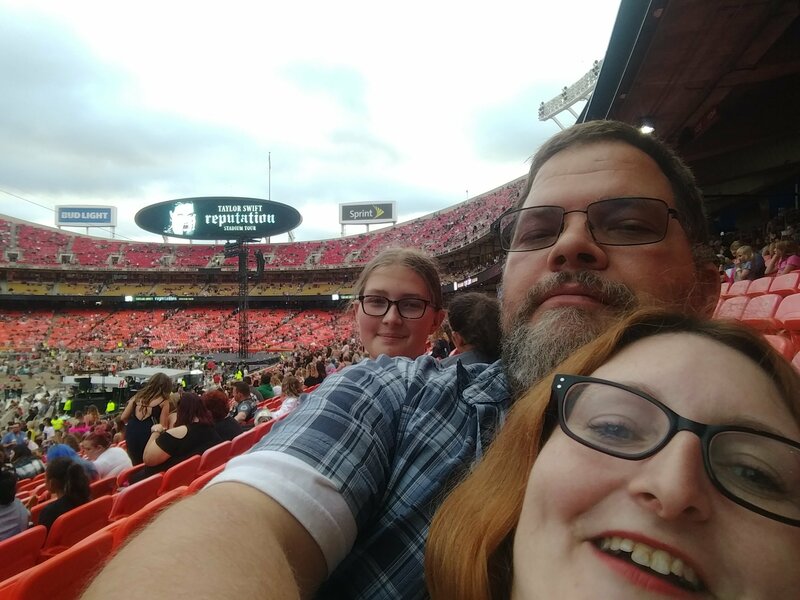 All 3 acts are favorites of my daughters. Miss Swift being their number one. The seats were amazing. 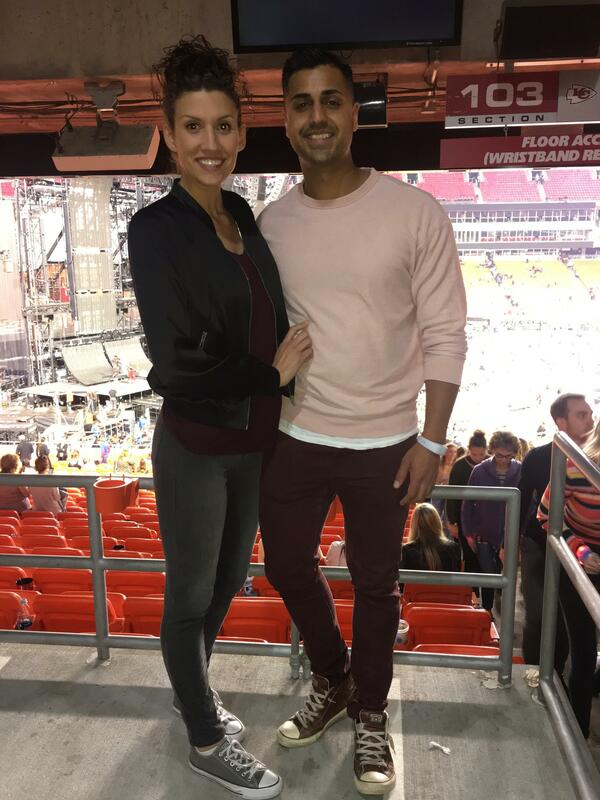 The concert blew them away. Again thank you so much!! 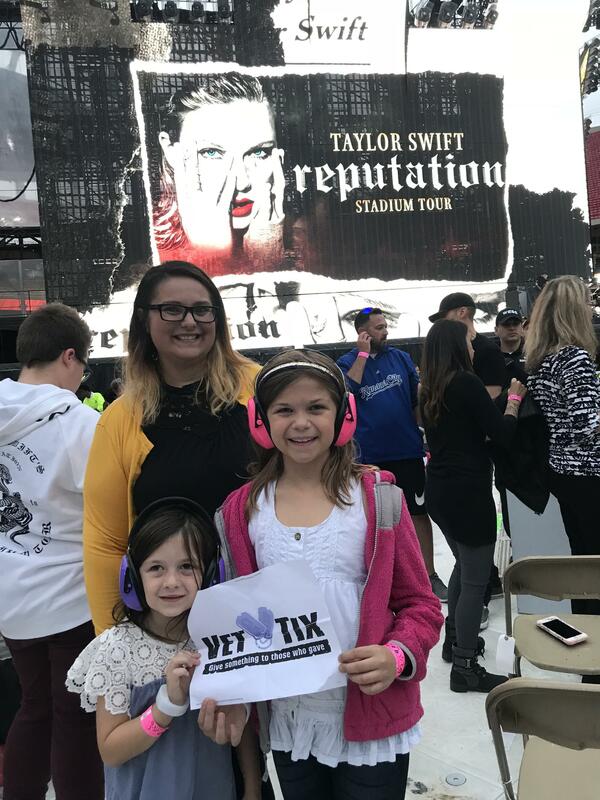 Thank you so much VetTix and Messina Touring Group! 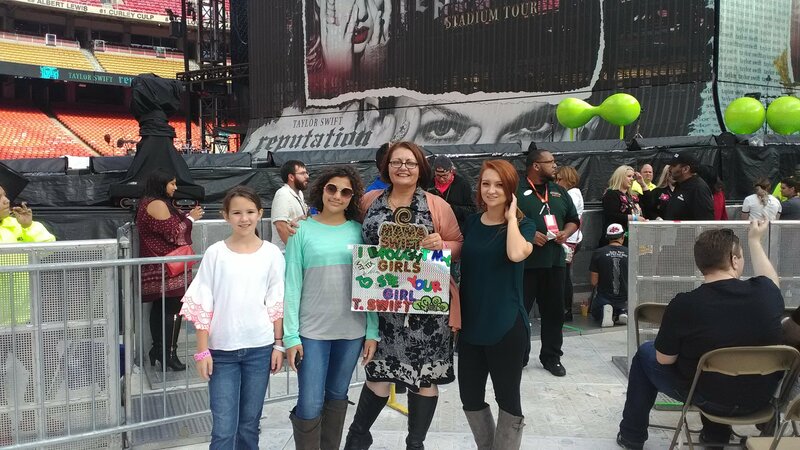 My wife and daughters were able to attend the Kansas City Taylor Swift show thanks to your generous donation. 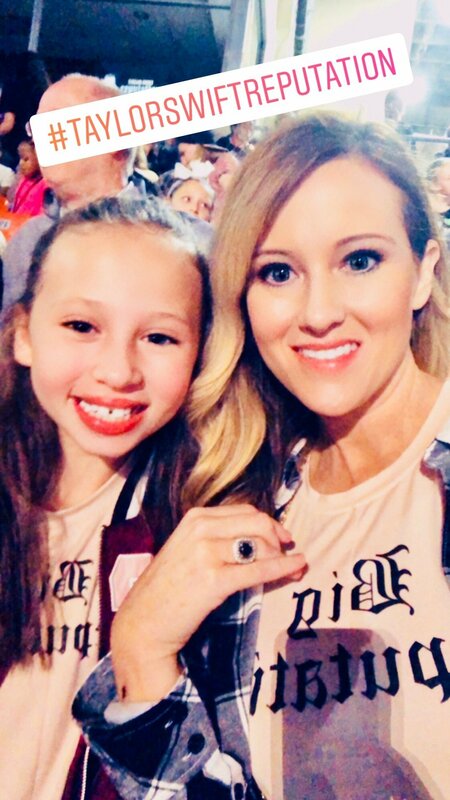 They had a wonderful time having one last mother daughter date before our new baby arrives. It will be a fun memory they will always cherish. Thank you again! 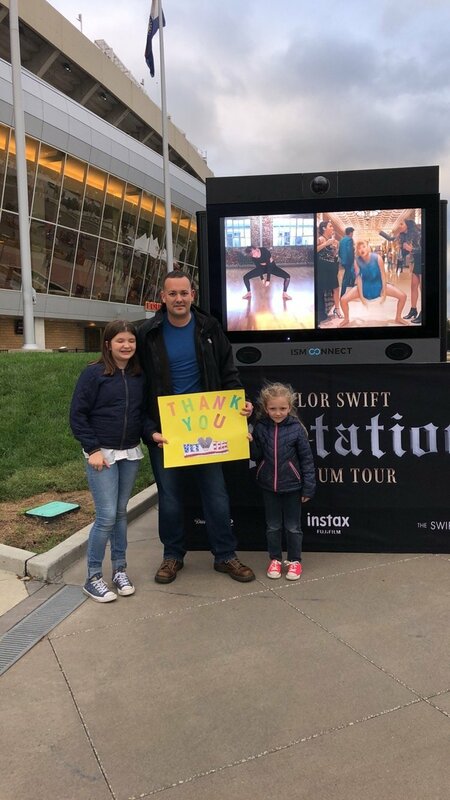 Thank you Vet Tix and Taylor Swift. i was able to give my two daughters the best experience of their lives and see Taylor up close. It was an amazing show that we will never forget. 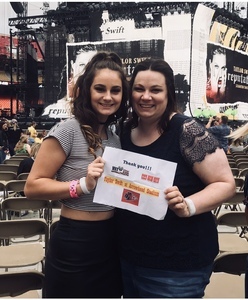 I would to the the Messina Touring group, LLC for donating the tickets to the Tayor Swift Reputation Stadium Tour. 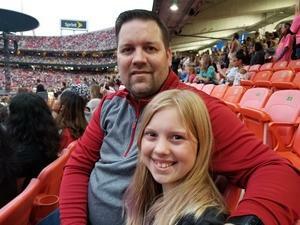 I have travel and trained for so many years this opportunity to spend some quality time with my 11year old daughter in something that intrest her made made me and her very happy so thanks again vettix and the many supporters that has chosen to make a difference in military members lives. This concert was amazing! 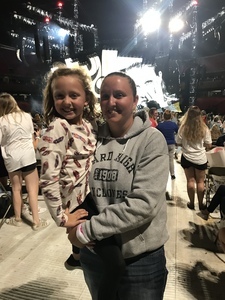 Niece and friends loved it and we are most appreciative of the generous donor who gave away FLOOR SEATS that got us about 15 ft away from Taylor at one point! 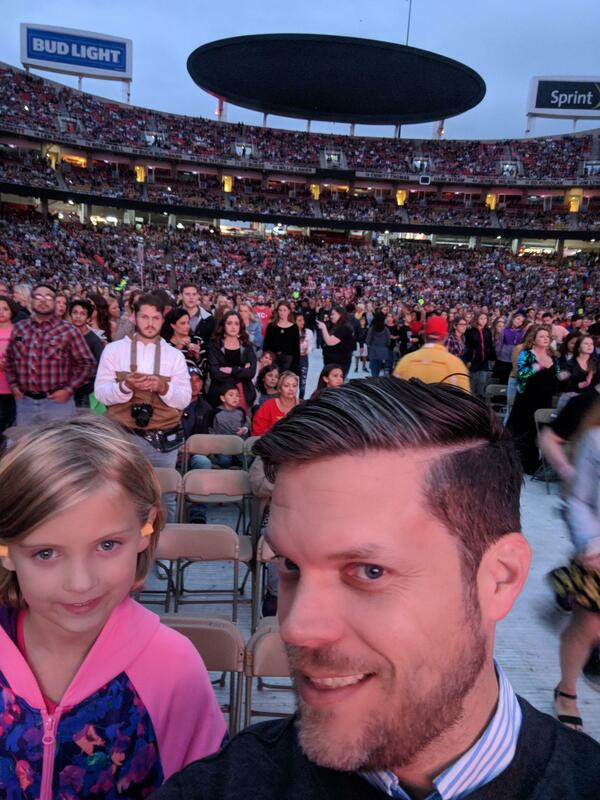 Great process to transfer to our name and also great seats. 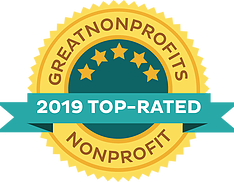 Thank you so much, Messina Touring Group, LLC! The concert was amazing! 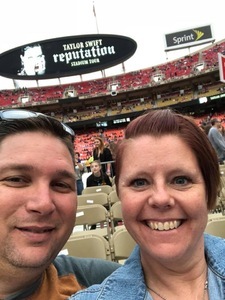 I cannot express how much we enjoyed this concert! The sets were amazing 23 rows from the stage! I could have never afforded to buy these tickets on my own. 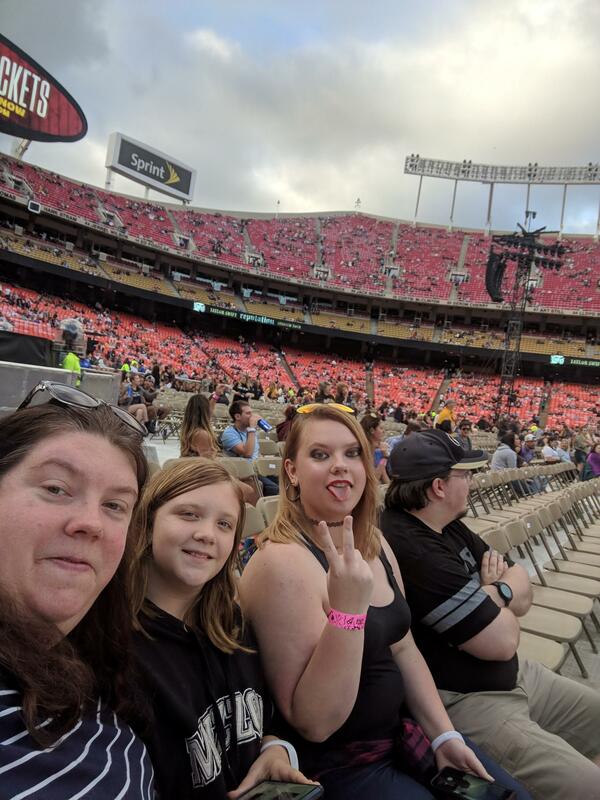 The time I got to spend with them enjoying a performer/performance that we all were fans of (10, 12, 23, and 40 yrs old) is a feat in itself but to be that close to the stage was the icing on an already amazing cake! Thank You Vet Tix and Thank You to the wonderful sponsors! My girlfriend was absolutely ecstatic when I told her I was fortunate enough to win tickets to this concert...a week later I found out how phenomenal the seats were (the photo is not from our seats). She has been through me being gone to 4 deployments and several temporary duty assignments and has never wavered. She absolutely deserved this night more than I did. Thank you for the love and support! 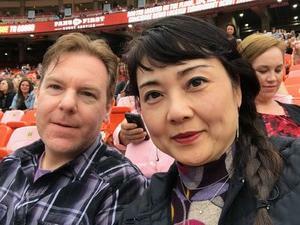 We only enjoyed such a great concert due to your generosity. We had an amazing time seeing Taylor Swift this month thanks to Messina Touring Group and staff at Vet Tix. We couldn’t have done it any other way. Thank you Vet Tix for this amazing program and thank you to the thousands of individuals and organizations that donate to your cause. My daughter and I had a wonderful time at Taylor Swift. 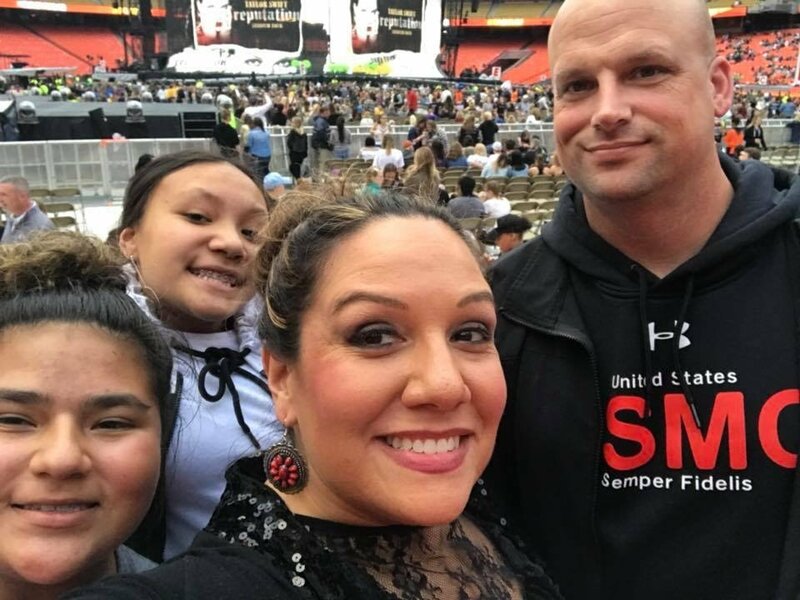 You made this veterans daughter and her dad very happy. Thank you for your generosity! Thank you for a once in a lifetime experience! I can’t even begin to explain how amazing these tickets and show were!